The Maxi-Cosi Pebble is suitable from birth to 13 kg (approx. 12 months) and is compatible with Maxi-Cosi and Quinny pushchairs to form a stylish and practical travel system. This car seat goes above and beyond minimum standards to ensure maximum safety and added piece of mind for parents. To ensure your baby stays comfortable in their car seat as they grow, the harness and head hugger easily adjusts together. 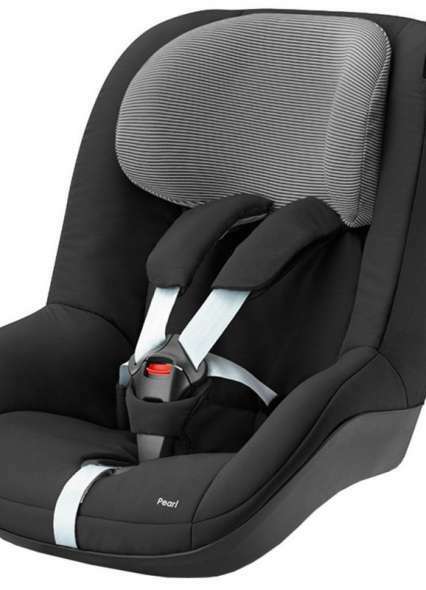 For convenience the Pebble features a stay-open harness to make placing babies in the seat as simple as possible. Installed rearward facing with either the cars three-point seat belt or a Maxi-Cosi Base, the Pebble offers simple installation options designed to minimise incorrect fitting. When used in conjunction with Maxi-Cosi FamilyFix Base a light and sound indicator confirms correct installation. 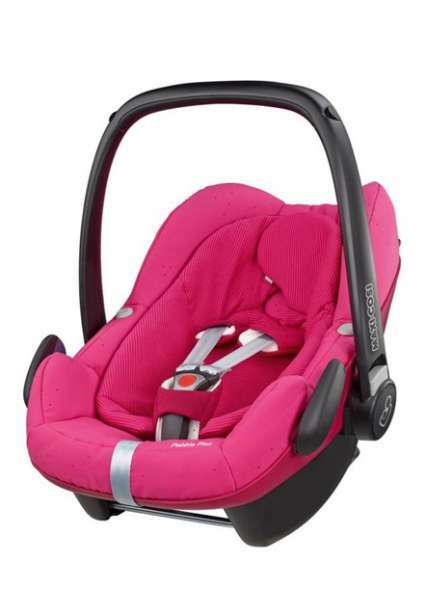 The car seat can also be adjusted into a unique upward position allowing older babies to have more legroom. Therefore you can use the seat for longer in the rearward facing position which is the most preferable and safer way for younger children to travel. The Maxi-Cosi Pebble car seat comes complete with all the accessories you need to ensure your baby is comfortable during their travels. Accessories included are a newborn insert, headhugger, 3 point safety harness, harness pads and an easy access integral sun canopy. 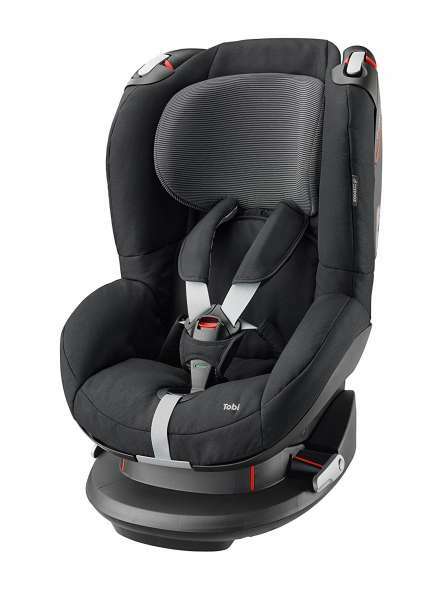 Be the first to review " Maxi Cosi Pebble Group 0+ Car Seat "